Payment options : PayPal, Direct credit, Cheque and Wire transfer. Welcome to Netlotto! The next platform in our online lottery review series. Australian lotteries are within the most exciting ones with great jackpots and draws almost every day. Therefore, Netlotto is a great option. The brand is an official reseller of the Australian lotteries, working under strict regulatory norms and with more than 15 years in the field before they decided to launch their online platform. As a result, you will find at Netlotto all the Aussie lotteries at one site and online. The site is open for players worldwide, excluding US players. Netlotto has also developed a mobile app for Apple smartphones, and while the site is responsive, is not the best option for buying your ticket. The website looks quite simple and without great designs. It was created to allow you to buy the raffle, check results, and seems like that is all. Read all our review to learn about the features and products you will find at Netlotto and good luck with your Aussie Raffle! Check all the elements we take into account once we write a review about an online lottery website. Each element will add or rest from the final score since each one is an important part of the website offer. Compliance with regulatory norms and licenses. We review the level of encryption for data and transactions, meaning the level of security for users. What are the lotteries offered at the website? Syndicated lotteries and side games are important additions to each platform. What are the languages the site has and how the user experience has been developed through design and navigation. What are the devices that can be use? Desktop, tablet and smartphones. Site is responsive? Mobile apps available? We check the online promotions, offers and welcome bonus you can enjoy when joining the platform. Which channels you can use to contact the customer service department. The quality of response is also an important measure. The level of security at Netlotto both for personal data and transactions is the highest at the industry. They have the GoDaddy verify security badge with a 256-bit SSL protection. 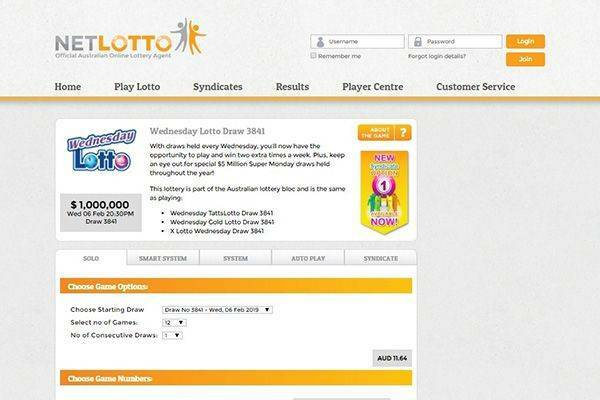 Also, Netlotto is an official and accredited agent of the Australian lottery. As a result, we can be sure that our data, transactions and gaming are well protected. 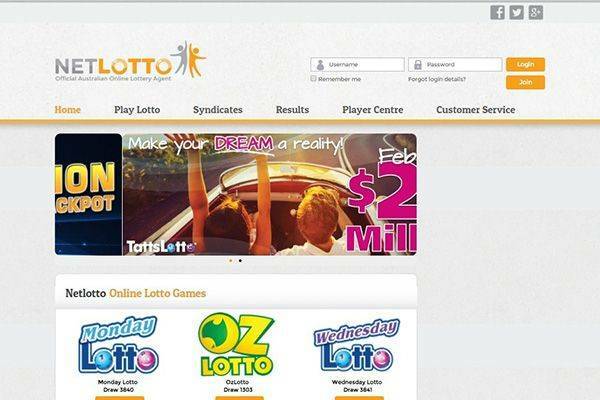 The main attraction at Netlotto are the Australian lotteries, so if you are looking for SuperEnaLotto, EuroMillions or the USA PoweBall, this is not your site. The Aussie lotteries offered at the site for single buy are: Monday Lotto, OZ Lotto, Wednesday Lotto, PowerBall, Saturday TattsLotto, The Pools, X lotto and Super 66. 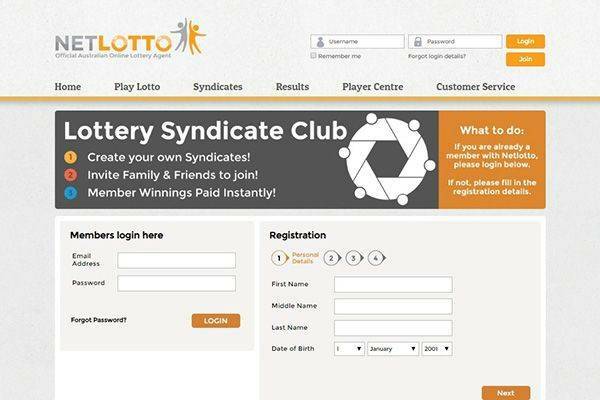 In addition, for syndicate raffles the lotteries available at Netlotto are: Monday Lotto – Lucky 8’s, OzLotto – Super Combo, OzLotto – Smart Group, OzLotto – 4 Tens and OzLotto – 1st Number Drawn Guaranteed. Finally, the website is not offering any kind of side games. So if you want to have some fun with slots or scratchcards you will need to look for them in another plaform. Netlotto website is only available in English. We know that is the most used language around the world, but we still think that many users cannot read it. So adding further languages can be a great improvement for the brand. The theme and design are simple and straightforward. You will be able to find the Australian Lottery of your preference and buy it very quickly, without fancy images or web features. Hence, navigation and user experience are good, but there is many room for enhancement. Netlotto website is available both for desktop and mobile users. While desktop view is the best one, the tablet and smartphones are not as comfortable due to the small size of fonts and images. The Net Lotto development team created an app for Iphone mobiles. We didn’t find any Android app. As a result, if your smartphone runs on Android your solely option is to navigate the site from your browser. The site main intention seems to be to make you navigate from you PC or Mac computer. You will get the maximum functionality this way. Netlotto.com.au website for tablets is not as good as the desktop, but still this option seems preferable to smartphones. Mobile devices view of the website is limited due to the size of images and fonts. If you have an Apple smartphone downloading the app will be the best choice. Yet, for Android users the browser will be the only available option. Netlotto is not offering any promotion, welcome bonus or offer. Furthermore, no VIP points can be gain. They only focus on bringing online to the whole world what you can do in any land base lottery ticker seller. Therefore, if Netlotto wants to compete with the big online players, it must start offering bonuses and promotions soon. Assistance from the customer support department is an essential part of the online business. How they answer and what are the channels at your disposal are really important for your good experience. You can write a letter to the address: PO Box 10243, Brisbane, QLD, 4001, Australia. Not fast and not relevant for online players. You can contact Net Lotto customer service from Australia to: (07) 3235 6280 and from the rest of the world to: +617 3235 6280. Finally, use the contact form available at the website in order to send your inquire to the customer support. If you are looking only for Australian lotteries from an accredited and regulated reseller, Netlotto is definitely your platform. With a very complete Aussie lotteries offer both for single and syndicate mode, you will feel the Australian vibes on your computer. Since they offer the site solely in English and because the selection of payment methods is small we give to Netlotto a rating of 4 over 5. 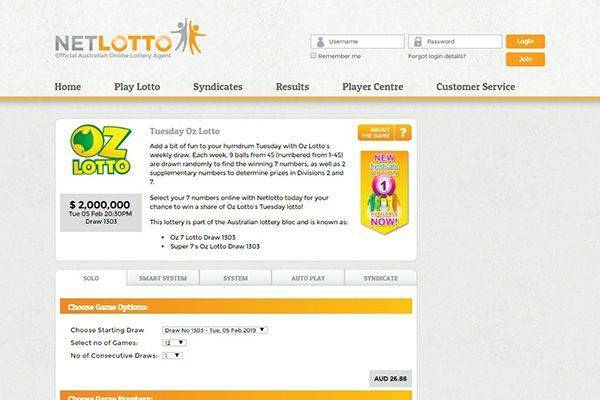 A nice score for Netlotto for its specialization in Australian lotteries! Do you want to know if Netlotto is a scam? Are your doubts appearing before you complete your online purchase? With the highest level of encryption, 256 bit SSL, provided by Go Daddy and the accreditation from the Australian lotteries as official reseller you can be pretty sure you ticket will be bought and your winning will be pay. Netlotto is a very trustworthy platform with many years of growing reputation supporting their activities. Just relax and enjoy!